New MRI technique to diagnose or rule out Alzheimer's disease ~ Health Matters Today! On the quest for safe, reliable and accessible tools to accurately diagnose Alzheimer's disease, researchers from the Perelman School of Medicine at the University of Pennsylvania found a new way of diagnosing and tracking Alzheimer's disease, using an innovative magnetic resonance imaging (MRI) technique called Arterial spin labeling (ASL) to measure changes in brain function. The team determined that the ASL-MRI test is a promising alternative to the current standard, a specific PET scan that requires exposure to small amounts of a radioactive glucose analog and costs approximately four-times more than an ASL-MRI. 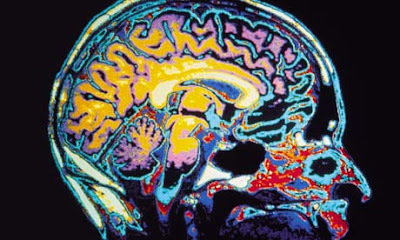 Two studies now appear in Alzheimer's and Dementia: The Journal of the Alzheimer's Association and Neurology®, the medical journal of the American Academy of Neurology..
ASL-MRI can be used to measure neurodegenerative changes in a similar way that fluorodeoxyglucose Positron emission tomography (FDG-PET) scans are currently being used to measure glucose metabolism in the brain. Both tests correlate with cognitive decline in patients with Alzheimer's disease. "In brain tissue, regional blood flow is tightly coupled to regional glucose consumption, which is the fuel the brain uses to function. Increases or decreases in brain function are accompanied by changes in both blood flow and glucose metabolism," explained John A. Detre, MD, professor of Neurology and Radiology at Penn, senior author on the papers, who has worked on ASL-MRI for the past 20 years. "We designed ASL-MRI to allow cerebral blood flow to be imaged noninvasively and quantitatively using a routine MRI scanner." When Alzheimer's disease is suspected, patients typically receive an MRI initially to look for structural changes that could indicate other medical causes, such as a stroke or brain tumor. Adding about 10-20 minutes to the test time, ASL can be incorporated into the routine MRI and capture functional measures to detect Alzheimer's disease upfront, turning a routine clinical test (structural MRI) into both a structural and functional test. "If ASL-MRI were included in the initial diagnostic work-up routinely, it would save the time for obtaining an additional PET scan, which we often will order when there is diagnostic uncertainty, and would potentially speed up diagnosis," said David Wolk, MD, Assistant Professor of Neurology and Assistant Director of the Penn Memory Center, and a collaborator on this research. The studies being reported this week show a comparison of ASL-MRI and FDG-PET in a group of Alzhiemer's patients and age-matched controls. Cerebral blood flow and glucose metabolism were measured simultaneously by injecting the PET tracer during the MRI study. The data were then analyzed two different ways. In the first study, now online in Alzheimer's and Dementia, ASL-MRI and FDG-PET images from 13 patients diagnosed with Alzheimer's and 18 age-matched controls were analyzed by visual inspection. Independent, blinded review of the two tests by expert nuclear medicine physicians demonstrated similar abilities to rule out (sensitivity) and diagnose (specificity) Alzheimer's. Neither ASL-MRI nor FDG-PET showed a clear advantage from quantitative testing. In the second study, published in Neurology, the ASL-MRI and FDG-PET images were compared statistically at each location in the brain by computerized analysis. Data from 15 AD patients were compared to 19 age-matched healthy adults. The patterns of reduction in cerebral blood flow were nearly identical to the patterns of reduced glucose metabolism by FDG-PET, both of which differed from the patterns of reduction in gray matter seen in AD. "Given that ASL-MRI is entirely non-invasive, has no radiation exposure, is widely available and easily incorporated into standard MRI routines, it is potentially more suitable for screening and longitudinal disease tracking than FDG-PET," said the Neurology study authors. Additional studies will focus on larger sample sizes including patients with mild cognitive impairment and other kinds of neurodegenerative conditions.